Contents: Prologue. 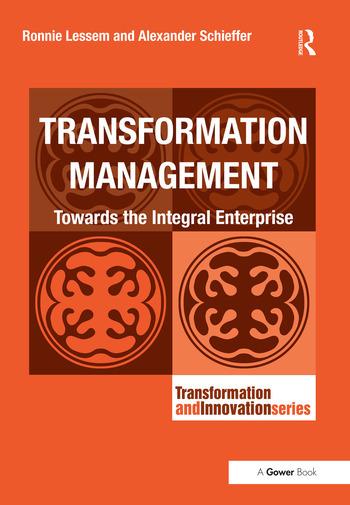 Part 1 Introduction - The Fundamentals of Transformation Management: Management and Transformation; The Four Fundamentals of Transformation Management. Part 2 The First Fundamental of Transformation Management: Nature and Transformation; Strategic renewal; Self, organizational and societal renewal. Part 3 The Second Fundamental of Transformation Management: Culture and transformation; Cultural dynamics; Transcultural learning and co-creation. Part 4 The Third Fundamental of Transformation Management: Science and transformation; Research to innovation. Part 5 The Fourth Fundamental of Transformation Management: Management and transformation; Transforming marketing into community building; Transforming human resources into conscious evolution; Transforming operations into knowledge creation; Transforming finance into sustainable development. Part 6 Transformation Management: Enterprise and transformation. Part 7 Epilogue. Index.